​The EU General Data Protection Regulation (GDPR) is the most important change in data privacy regulation in 20 years, since the Data Protection Act (DPA) of 1998 was first introduced – we’re here to make sure you’re prepared​. After four years of preparation and debate the GDPR was finally approved by the EU Parliament in April 2016. with the enforcement date set at 25 May 2018. After this date those organisations who are non-compliant may face heavy fines. 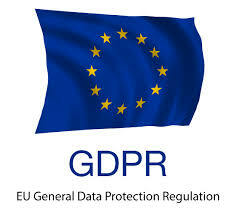 The EU General Data Protection Regulation (GDPR) replaces the Data Protection Directive 95/46/EC and was designed to standardise data privacy laws across Europe, protecting and empowering all EU citizens data privacy and changing the way organisations across the EU approach data privacy. 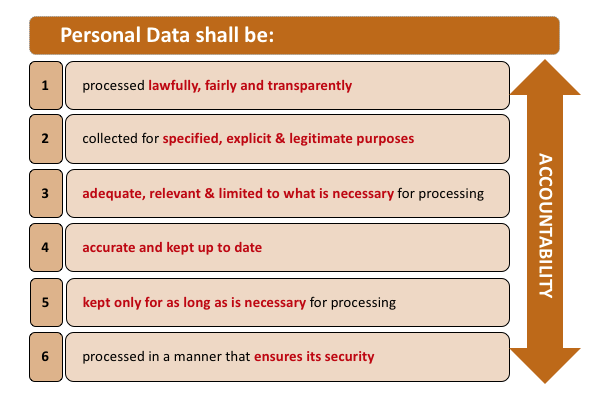 The Six data protection principles provide an overview of your most important duties in complying with GDPR and introduces the concept the ‘accountability principle’ where Data Controllers are responsible for being able to demonstrate compliance with the six principles.